My family has owned Cottages in James Bay of Lake Talon since the 50's. Lake Talon is now part of the Mattawa River conservation area, which includes the historic Voyageur canoe route. Our small cottage was built at least prior to 1938.... (based on writing inside a cottage wall) really a hunting shack and is water access only. My grandparents purchased it (no electricity or running water) and have passed it on to my parents (electricity and a wood stove to cook on) and now me (running water and electricity). My mother still spends months in the summer here with her sons and grandchildren. My brothers and I first visited the lake on the first year of our lives when the biggest boats were 9.9 Evinrudes on flat bottom plywood boats built by the Greene's who lived year round on the lake. They were very good friends with my grandparents. As my grandparents family grew they purchased vacant land and built a log cabin close by as well. Today both my brothers own cottages in the bay as well (including the log cabin built by Andy Green). My cousins also own a cottage here too, so four in total. My brothers and cousins spent much of our summers here with great memories of fishing, exploring the bush, swimming and working on our various fix it or build it projects. Today when we get together either in the city or at the cottage much conversation involves the many stories we experience on Lake Talon. Over this generational place I should say our grandfathers were very good friends with our American neighbours, as were our mothers and my brothers and I and there kids. Today our kids are also good friends and we are in regular contact with them. We are also good friends with many others in our bay and around the lake. Our family considers ourselves blessed to have this wonderful often very quiet and peaceful retreat. Things do change today, there are larger boats jet skies and often boat traffic on holiday weekends. 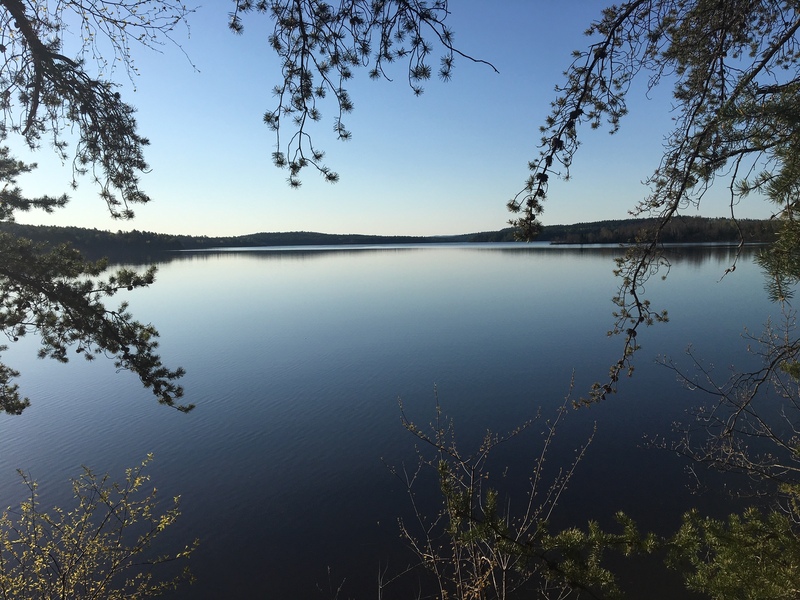 Although.... most people enjoy their various activities in a respectful way and we try to be tolerant, many of the cottagers are now part of the Lake Association presenting a unified voice to those impacting or plan to impact this wonderful place. Dealing with intentions to place wind turbines around the lake (now defeated), Pipeline East is being watched as well as lake cottage development. After all when all of us were learning to water ski behind the biggest boat on the lake a 33 1/2 HP Evinrude in one of the first enclosed aluminum boats. We tried not to annoy ( but likely did).